Be ready for anything in Venice. This floating city consists of a group of 117 small islands separated by canals and linked by bridges. It can be the most romantic place on earth, but it can also be terribly expensive and touristy if you don’t do your research. I’m not saying that visiting Venice has to be horrible and overpriced. In fact, I love Venice and visited it 4 times already. All you need to know is how to prepare correctly so Venice can live up to your expectations and offer you luxury at an affordable price. 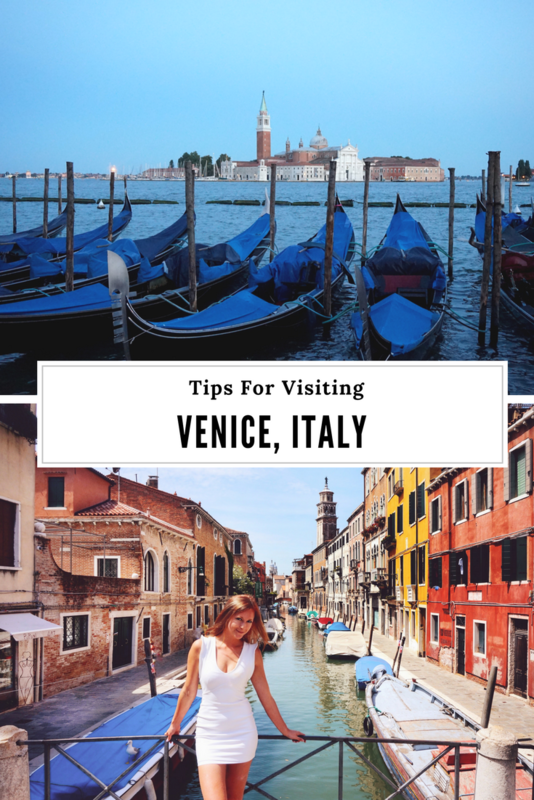 Here are my travel tips for visiting Venice in Italy. ‘If you go to Venice, book a flight and get a hotel somewhere in the city’ – that’s the worst advice anyone can give you. Specificity matters, you should pay close attention to which airport you’re flying to (VCE Marco Polo is great, but Treviso is very far away). Also, it does matter where to stay, as you could easily end up VERY unhappy. If you’re going to book a hotel at the last minute you might end up staying over an hour away from Venice due to the high demand. I’d avoid staying on a mainland, as it might take you up to an hour by bus to get to the part of Venice you actually want to see. If you’re choosing a hotel, you can easily compare prices using this website. But if you’re still unsure which part of town you want to stay in check what Tripadvisor has to offer. If you get lost or you’re simply too tired of walking around you can hop on and off a Vaporetto for just $24 for 12 hours of unlimited rides, $26 for 24 hours, and $33 for 36 hours. You don’t have to think twice about taking it only one stop, and you can also take it simply for the sightseeing. Compared to a $7 for a single ride, it’s a bargain! 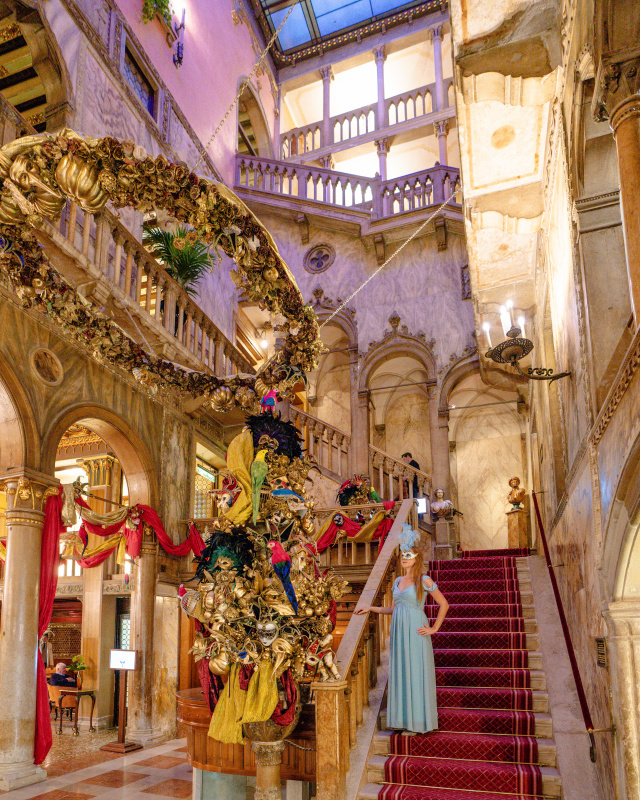 Hotel Danieli – One of the best hotels in Venice. Even the lobby is the most gorgeous ever. If you don’t want to spend a ton on staying there, at least check out their restaurant. Residenza Veneziana – Right on the canal with gondolas, this hotel has high standards for an affordable price. Generator – Located on Guideca Island with a view on the main square, it’s an affordable and clean hostel. You can book sailing trips and other excursions directly at their front desk. Venice is beautiful in the summer, but unfortunately, you’re not the only person who thinks so. Be prepared for a gorgeous, yet crowded experience with a lot of tourists running around. 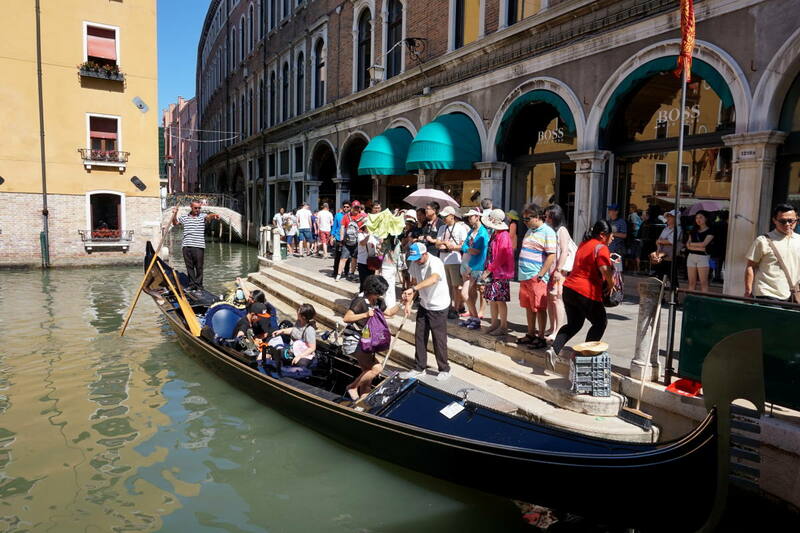 It may seem like everywhere you go is full of people, especially between 10 a.m. and 3 p.m. when the cruise ships pull in and take their passengers on shore for excursions to the museums in the Piazza San Marco. Do yourself a favor and get skip the line tickets to major points of interest. It’s only a few bucks more, but it can save you a lot of time and frustration. The further away you go from San Marco square the fewer people you’ll see. Get lost in the small streets to feel like a local. 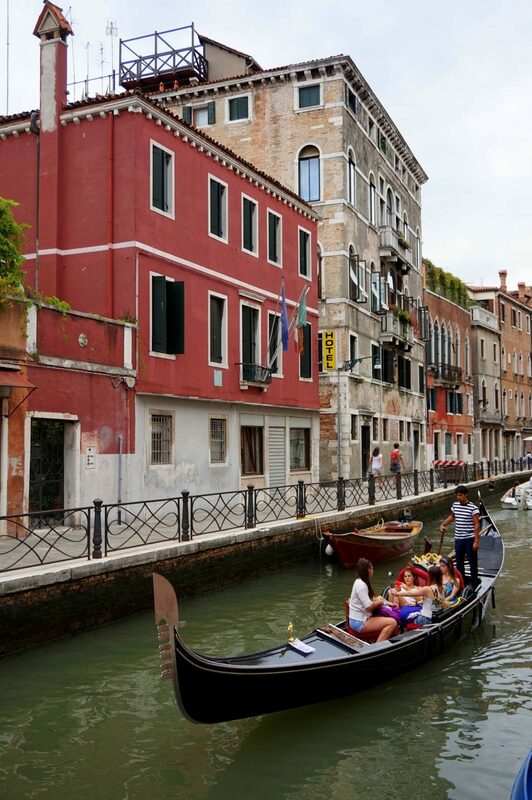 In the residential quarter around the Ormesini and Sensa canals at the northern end of Cannaregio, you can still enjoy a real slice of genuine Venetian life. I had an opportunity to visit the Basilica of San Marco after-hours tour with Walks of Italy. I can’t recommend this tour enough as there were only 10 of us in the entire church. We didn’t have to rush anywhere, and we also could explore the catacombs. The tour is obviously more expensive than regular admission. It only opened to our small group arranged by the Walks of Italy. As my guide explained during the day being the church feels like being in a sardine can because everyone is pushed together side by side. Not to mention the enormous line outside. 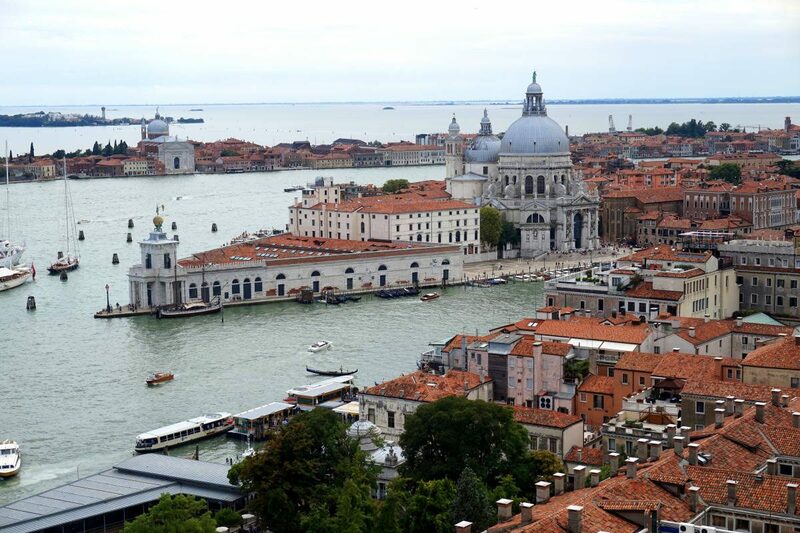 What’s the first thing people think about when they hear about Venice? Gondolas! As I explained in my other post, gondolas cost 80 Euros for half an hour as they are regulated by the city. There’s no arguing over the price unless you pre-booked your gondola online. While I’m not saying it’s not worth it, it might not be for everyone due to a price. If you’re not willing to spend that much on a short gondola ride take a local boat. It looks like a gondola but costs just a few Euros. If you decide to ride a gondola, take a few things into consideration. 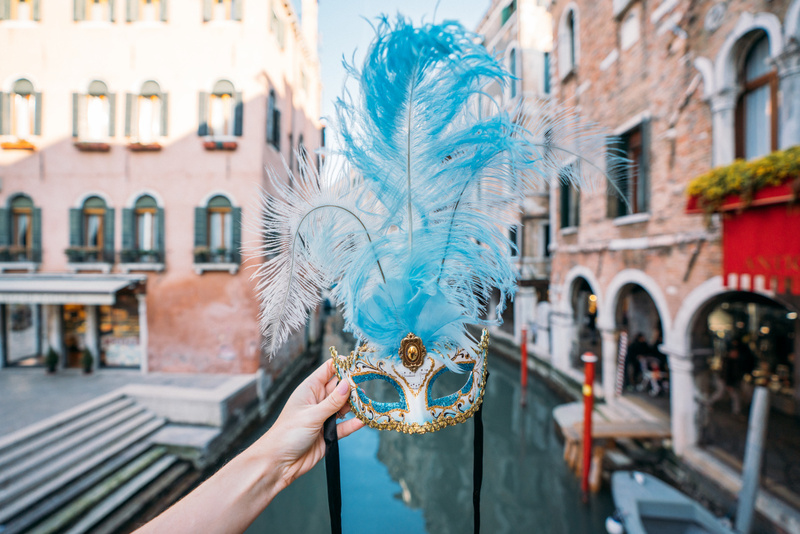 A lot of other blogs will tell you that it costs more for your gondoliers to sing or to enter smaller canals – both things couldn’t be further away from the truth! Shop around for your gondolier and you’ll have a great experience! 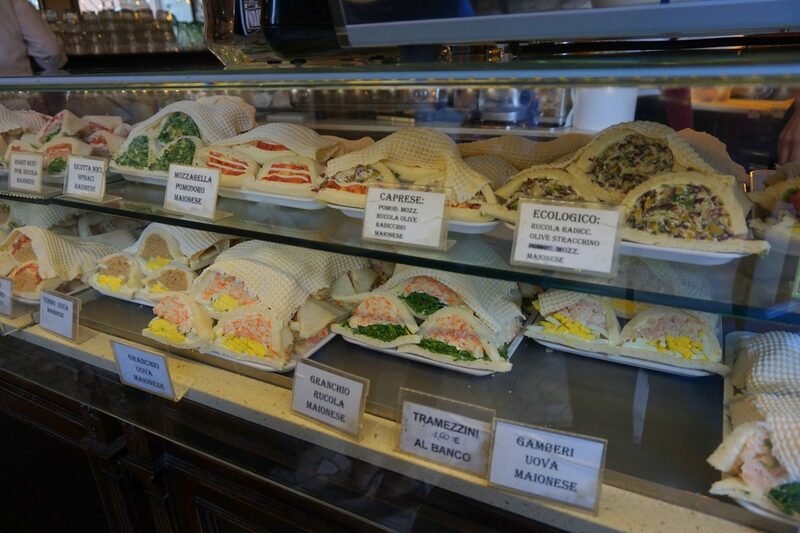 Italy doesn’t always mean pizza. In fact, eating pizza in Venice isn’t recommended as it’s not going to be any better than a cheap pizza you can make at home. Restaurants in Venice don’t have permission to have real stone ovens so they bake their pizzas in electric ovens. 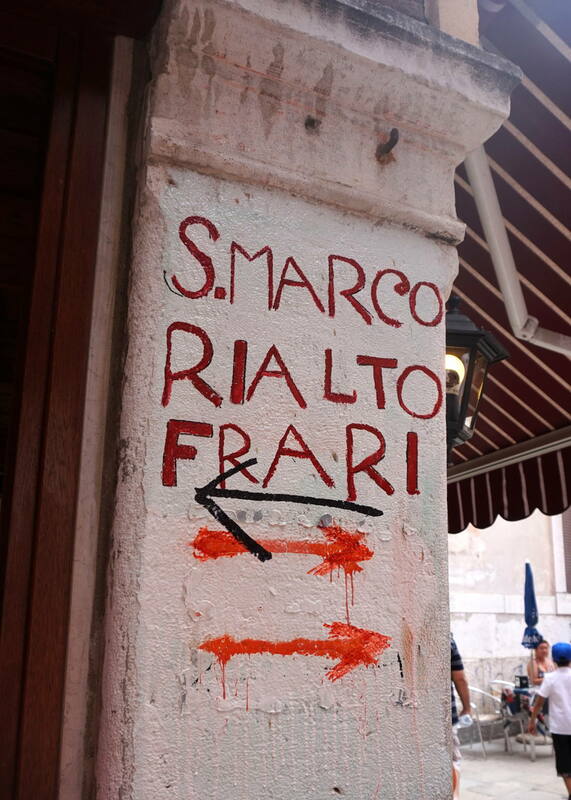 But don’t worry – Venice has tons of other exquisite culinary options so you can definitely be satisfied! Try the beach at the Lido, a historic, picturesque beach with just enough Italian girls in bikinis to keep a teenage boy’s eyes off of his electronic devices. Rent a bike, get some sun, and enjoy the local vibe! 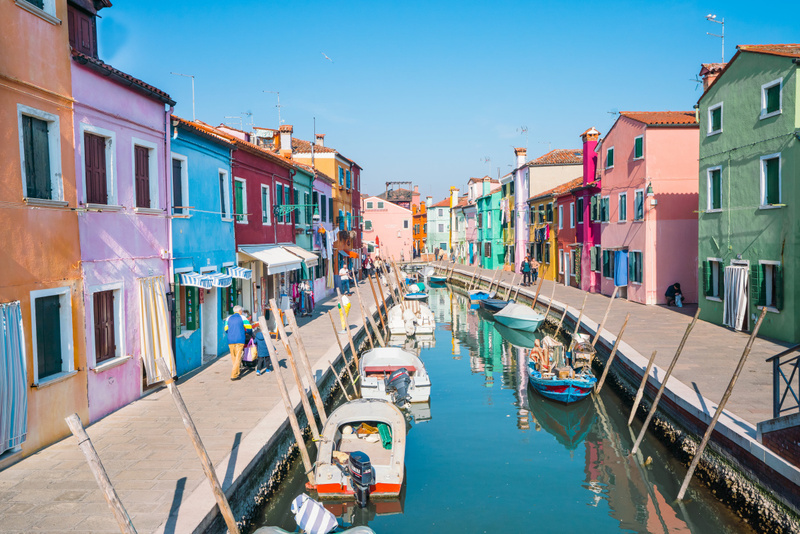 Burano used to be another great local spot, but then it became Instagram famous. I still recommend going to Burano to see all the colorful houses, but it just might feel slightly more touristy than it used to be. Venice is very confusing with its narrow streets and alleys quite often Google Maps gets lost, so pay attention to the shape of buildings and bridges instead of the actual blue dot. You can also just ask for directions, but this doesn’t always mean you’re going to easily find your destination. Don’t overpay for water in Venice when you can simply fill your bottle with fresh cold water from the local water fountains. It’s safe to drink this water so there’s no need to be afraid. As in any other tourist destination, a lot of crappy souvenirs are sold in Venice. Most goods are made in other countries such as China and passed off as “Made in Italy”, so it’s always great to find a genuine Italian product. For example, you can buy glass directly from Murano, known for its high-quality glassware. You can be taken to a glass making factory where they put on a glass blowing demonstration for a few minutes before you are escorted into the gallery, but don’t take out your camera. Although no photos are allowed, you can bring a great glass souvenir home! Don’t forget to arrange health insurance before heading to Italy. The easiest and the most reliable travel insurance is World Nomads Travel Insurance. Get it before your trip to avoid unnecessary troubles that might ruin your holidays! Post in partnership with Walks of Italy. Great tips, I visited when I was a kid and have always wanted to go back but have been put off by the idea that it would be so expensive and overrun with people! Hoping to visit next year as we go through Europe, these tips will be helpful! Great Post! 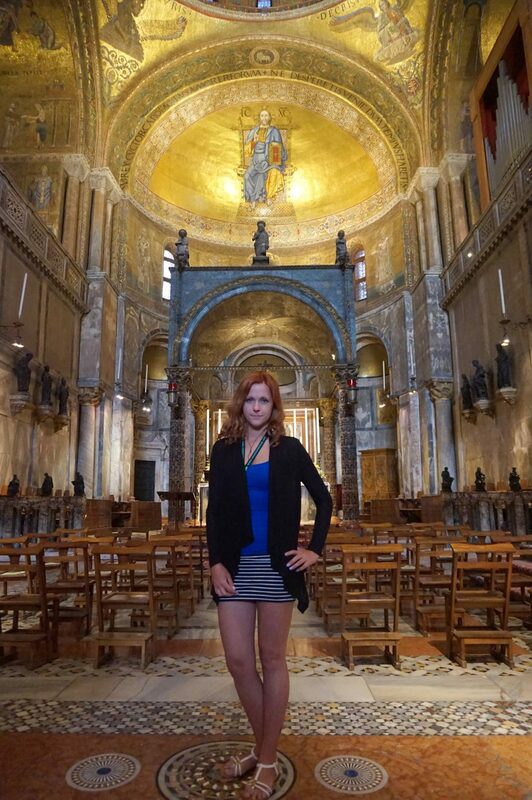 I loved Venice… Beautiful city! People warned me about Venice, said that we were going to hate it. But we love, love, loved it and wish we had booked more time there. Luckily we ignored the haters and went anyway, but we did let them influence how long we stayed. Each person has to experience it for themselves. Great tips! Exactly – I never believe people completely! I’m definitely long overdue for another trip to Venice. Nice tip about buying souvenirs. The behind the scenes tour is such a good idea! You know, when I went to visit I made the mistake of trying to buy souvenirs for everyone back home and I nearly drove myself mad looking at all the masks all around the city. I don’t even know why, they were mostly all the same thing! Haha! Definitely prepare to get lost! that’s one of the best bits about Venice! I love Venice, but I gained a stone last time- too much pizza! I know, it was amazed too! Loved Venice 🙂 Your pics are beautiful! Which camera do you use? You looks great as well as this city which I considered the most beautiful city in the world. I have been there few times already and cannot wait for my next visit! I would prefer visiting it out of the season! Venice is one of my favorite places except for the hot days of summer it gets smelly! Hey i was reading your blog…i can give u all a tip: i’m italian and my parents are from venice. If u want to visit Venice book in a hotel in MESTRE (is the nearest city) and go to venice by bus. In this way u can save a lot of money for the accomodation and also find normal restaurants and pizzeria near to the hotel with cheap prices. No city in the world is as unique and magical as Venice. My tips are, go there and go out at night, after midnight, just lose yourself in the city and enjoy the history without the hassle of the tourists. Maybe download some Vivaldi on your iPod too and listen to it while walking around. Also, before going, read a good history book about the Republic of Venice, la Serenissima, it will all make more sense and definitely add to the magic. Me and my family want to go there next year. Is there any thing interesting for children aged 9, 12 and 15 to do there? I think kids would love the gondola ride and ice cream, but I’m not sure if the younger ones would appreciate the art as adults would do. There are also mask decorating workshops so maybe that would be fun for them? Great travelguide! It was really helpful for my trip to venice. I also recommend everyone to take a midnight stroll. Its really peacefull and the glittering canals are magnificent under the moonlight. Great tips! Venice is one of my favorite places, and no matter how many times I’ve been there, it’s impossible not to get lost. That’s not necessarily a bad thing in Venice. And I couldn’t agree more about the pizza and gondolas! If you get a chance, visit some local artisans, it’s worth it. There are still a few artisans making their own creations, and some of them are happy to show you how they work. I met Piero, the owner of Il Forcolaio Matto (www.ilforcolaiomatto.it ) and Arianna at Plum Plum Creations (www.plumplumcreations.com ) and it was a very unique experience. Very nice information . During what time in the year did you go? I went a few times. Once in May, twice in July. Highly informative post,.. loved reading, can you publish article regarding Venice artist and art gallery we would love to read that. You can get to Murano on your own 😉 I also recommend visiting Burano! 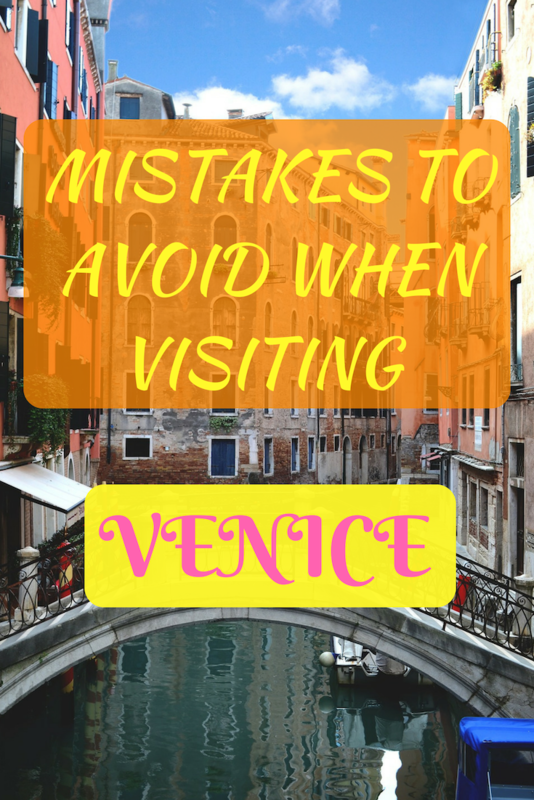 Great tips for visiting Venice – they helped me a lot on my trip. One of my favorite things was visiting the furnace in Murano. I’m new to your blog Anna. Great information. I have two weeks in January for possible travel for my girlfriend and myself. Of all the places you’ve been, does anyplace stick out as a place to definitely consider in January specifically (potentially, but not exclusively, with diving as an option too)? Thanks. Are we talking about Italy or in general? Great preview and wonderful tips. I’ve been there twice and loved both trips. 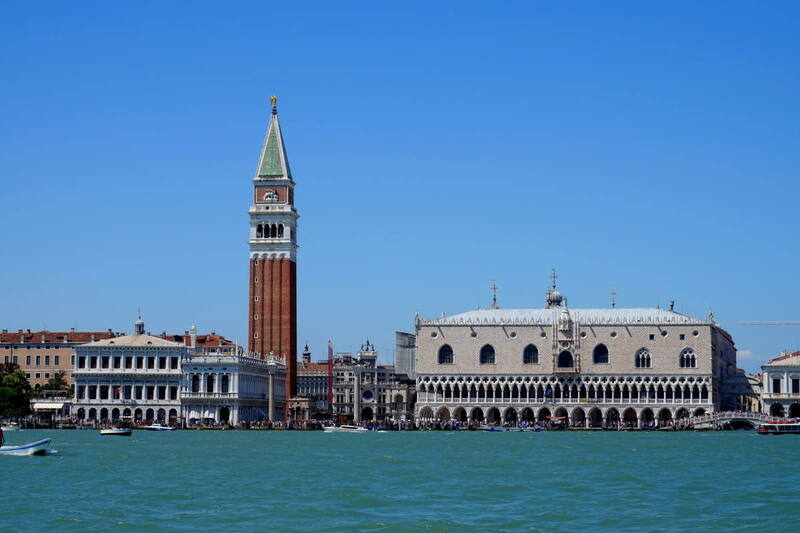 Though expensive it is best to stay in Venice rather than Mestre because Venice tourist crowds dissipate in the evening as well as early morning. Venise is even more magical in morning and evening light – without the maddening crowds.